Yesterday’s Bureau of Labor Statistics (BLS) release of the Produce Price Index (PPI) saw prices moving north again, this time a .3% gain compared to last months .6% loss. The numbers seem to be stabilizing (one month a little up, on month a little down). Looking into a little more depth we see that Energy and Food are the primary drivers. If you are looking for more information relevant to your industry – check out www.bls.gov/ppi/. They break out the information a number of different ways. This morning the Bureau of Labor Statistics released the September 2009 Producer Price Index report. 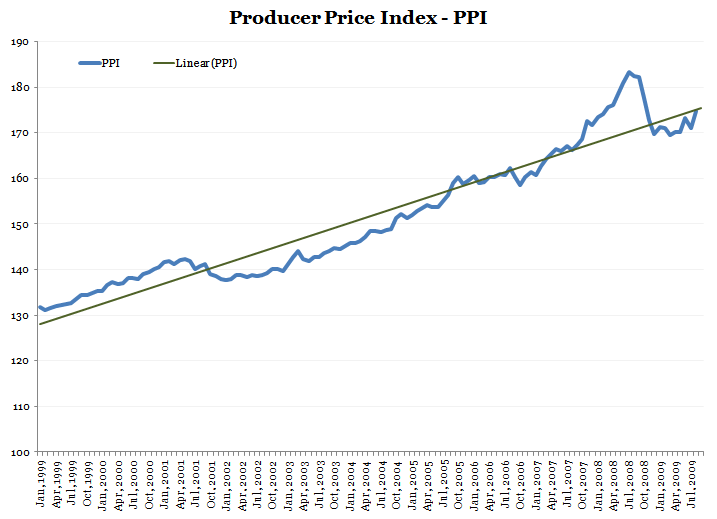 The PPI dropped a little this month mostly due to cost of gas declines (0.6% decline). In August we saw a significant increase at 1.7% raises a little alarm in that the fluctuations are evident. 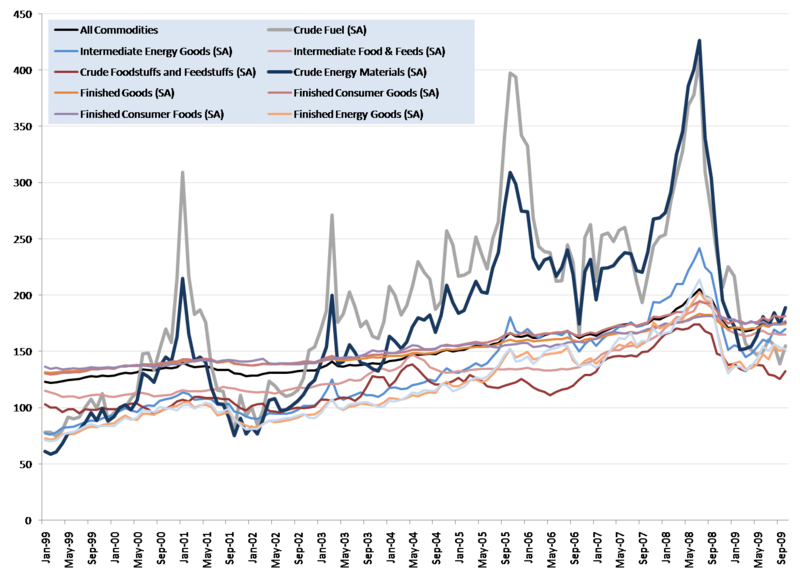 The fact that most of this is based on energy prices swinging is both a little calming and potential for more signs that oil prices are moving too much. What does this mean to me: we will probably not see much increase in prices over the coming months (keep watching the price of oil/gas). This is also a sign that while some of the recent indicators have been good, we might see a lull in the recovery process. As a part of this series, I am also going to add the price of oil. It was not one of the Baumohl Indicators, but I think that might have been because it comes out of the financial markets.